Corporate Sponsorship - What Is Included? ALL SPONSORS will be listed on our website; mentioned on Social Media and e-mail blasts; and will also be listed in our Annual Report. Bench Plaques will be 7” wide by 3” tall . The benches will be located either in the 15’ walkway, in the covered pavilion, or around the rescue areas. Both bench and fence plaques will be engraved plastic, with “Graciously Donated by” and the sponsor name, company name, etc. Several plaque colors are available, with white engraving. Fence Plaques will be 8” wide by 4” tall; Large Fence Plaques will be10” wide by 6” tall. Fence Plaques will be located on the perimeter privacy fencing. Banner ads will either be 5’ wide by 1’ tall or 4’ wide by 2’ tall (whichever works best for the layout) and will include a business card type advertisement. The banner ads will be FULL COLOR on 13 oz. premium matte vinyl; and will be attached to the privacy fencing on the outer perimeter and walkway. What type of traffic would my advertising get? Guests, sponsors, volunteers, adopters and once we are open - dog park traffic; as well as vehicle traffic along Old New Hope Road. The banners have the potential to also be visible in photos and/or videos featured on our website or social media. How many followers do you have on Social Media? We have over 9,500 fans on our Facebook page. 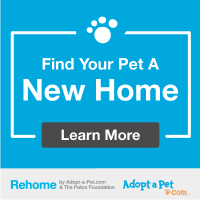 Our website is linked to PetFinder, Adopt-a-Pet, and many other pet friendly sites that also drive traffic to our website. How long will the plaques/banners stay up? For one year from the date they are placed on the fence/bench. We are currently in the process of building fences, etc., so this portion of your advertising will not begin until the construction phase is complete. If we donate annually, will the same plaques/banners be used, or new ones each year? If no changes are needed, and the plaque/banner is still in excellent condition, we will re-use them. If any changes are needed, or the existing ones are damaged, a new one will be provided. Why would my business need more than one advertisement at the same location? How would that benefit me? This is your chance for Top of Mind Awareness (TOMA). The more frequently your customer is exposed to your brand, the more likely they are to do business with you. By increasing your brand exposure, you build brand awareness. That’s the ultimate goal. How Do I Know My Donation Won't Be Used for Porkchop's Phat Farm? There's never a doubt where any Shaw PBR (or PC Phat Farm) money is going... Total transparency. Every dime donated, and every dollar spent can be seen on our Where is the Money Going tab. Does My Sponsorship Have To Be Monetary? Not necessarily. However, donations would need to be site-specific. Ie. lumber for privacy fencing; metal carports for covered pavilions; benches; or labor such as plumbing, electrical, fencing, etc. Just give us a call at 662.386.7429!